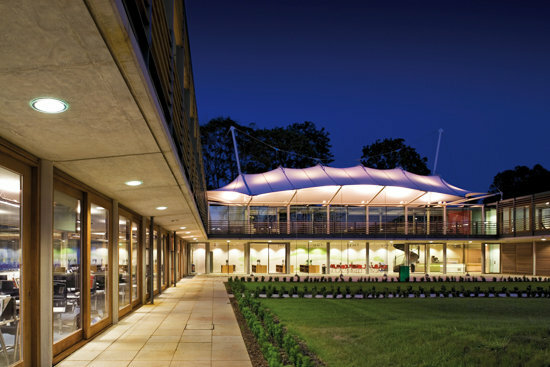 The National Tennis Centre has won the 'Best of the Best' top prize award from the UK's leading office industry organisation, the British Council for Offices (BCO). The judges described it as "a hugely democratic building" and "an outstanding example of successful integration." They continued: "The centre is elegant, efficient and sustainable. All the space is high quality, with nothing wasted through compromise." Commenting on the National Tennis Centre, Chair of Judges, Ron German said: "It won because it is essentially a simple building in many ways but executed with thoughtfulness and panache on a fixed budget. The client got exactly what they were looking for - an office that is a joy to work in and so obviously delivers on the client's business case for creating an open, collaborative environment dedicated to excellence."